Turn your bike ride into a total-body workout when you adjust the resistance on the dual action upper-body arms. Start out with an easy warm-up and then turn up the resistance for a challenging ride. This bike's display tracks your revolutions per minute on the screen so you know when to pick up the pace and when to slow it down to match your goals. And the integrated tablet holder keeps your tablet secure and conveniently close so you have access to all your training tools and Entertainment must-haves. 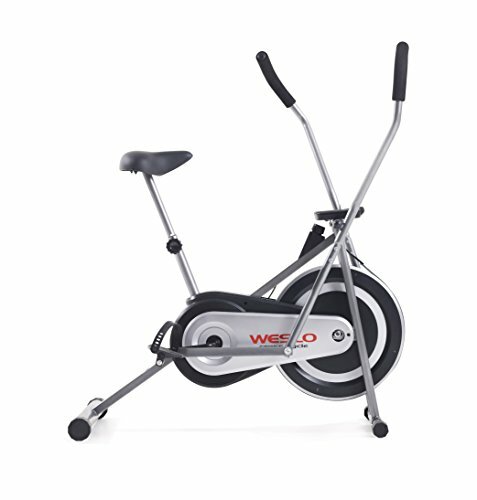 Please Note: Welso is the only manufacturer and Amazon is the only authorized seller for this product on this marketplace. We do not guarantee quality, authenticity, or size if purchased from other sellers. If you have any questions about this product by Weslo, contact us by completing and submitting the form below. If you are looking for a specif part number, please include it with your message.